If you just moved to the area or you’ve stopped buying your fuel oil (home heating oil) or kerosene from a provider who didn’t make you happy, Blueox Energy in Oxford should be your first call. 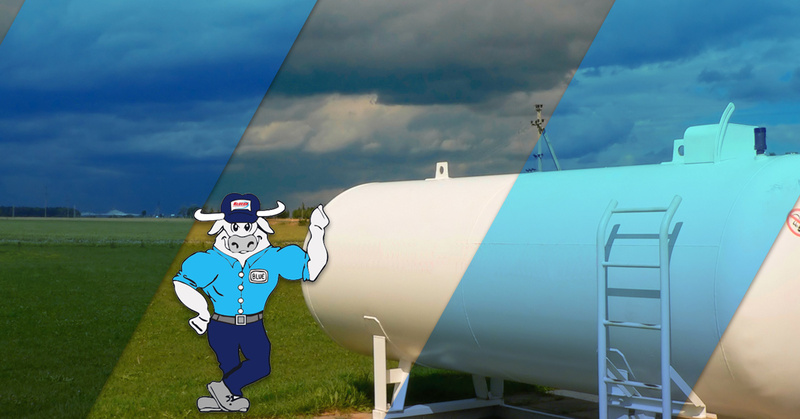 Not only do we sell kerosene (with or without additive), we also offer fuel oil, diesel, and HVAC services and systems. At Blueox, we believe in making sure that we do everything possible to keep you happy. Read on to find out why we should be your new fuel oil provider or give us a call if you’re ready to make an order or if you have questions about any of the services we provide! If you just moved to the area and are in a home outside of town, chances are good that you don’t have natural gas piped directly into your house. This is where fuel oil and kerosene come in. Usually stored inside aboveground tanks, kerosene and home heating oil is used by your furnace or heater to keep you and your family warm when the temperatures start to drop. We make getting your hands on all the fuel oil you need easy. Just give us a call or use our online ordering system. Whichever method you choose, you’ll receive the best price on the highest-quality fuel available. We always offer the best volume discounts, too. The more you buy, the less you pay. Check our website or ask any of our staff if we have any other discounts running. After you’ve placed your order, we’ll schedule a delivery. Our kerosene and fuel oil delivery drivers are safe and well-trained at ensuring their safety on the roads (no matter what the conditions are like) and at your home. They’re trained to do everything possible to avoid spills and, in the rare event that a spill does happen, they have all of the equipment and training needed to clean it up quickly and completely. If you happen to order a little more fuel oil or kerosene than your tank can hold, we’ll make sure that the balance is credited towards your account. This means that you’ll never have to worry about wasting fuel — it will only make your next bill even more affordable! As you can see, at Blueox Energy, we do everything we can to make sure that your home and your family stays warm during the cool autumn and cold winters. If you ever need an emergency fuel oil delivery, call us. We believe in taking care of our customers when they need it the most. If your furnace needs a tune-up before winter or you want to replace it, we can help with that, too. We can repair almost any heater and we sell some of the best furnaces and ductless heaters available, including Mitsubishi’s ductless heating systems. Let Blueox in Oxford be your one-stop energy source! Contact us today with any questions!